Welcome to Troy, New York. The land where mastodon roamed, the Mohicans lived, and the Dutch settled in the seventeenth century. Troy grew from a small trading post into a jewel of the Industrial Revolution. Horseshoes, rail ties, and detachable shirt collars were made there and the middle class boomed, making Troy the fourth wealthiest city per capita in the country. Then, the factories closed, the middle class disappeared, and the downtown fell into disrepair. Troy is the home of Uncle Sam, the Rensselaer Polytechnic Institute, the Rensselaer County Jail, the photographer Brenda Ann Kenneally, and the small group of young women, their children, lovers, and families who Kenneally has been photographing for over a decade. Before Kenneally left Troy, her life looked a lot like the lives of these girls. With passion and profound empathy she has chronicled three generations—their love and heartbreak; their births and deaths; their struggles with poverty, with education, and with each other; and their joy. Brenda Ann Kenneally is the Dorothea Lange of our time—her work a bridge between the people she photographs, history, and us. What began as a brief assignment for The New York Times Magazine became an eye-opening portrait of the rise and fall of the American working class, and a shockingly intimate visual history of Troy that arcs over five hundred years. Kenneally beautifully layers archival images with her own photographs and collages to depict the transformations of this quintessentially American city. The result is a profound, powerful, and intimate look at America, at poverty, at the shrinking middle class, and of people as they grow, survive, and love. Brenda Ann Kenneally is a mother, teacher, multiplatform documentarian, Guggenheim Fellow, Pulitzer Prize nominee, and formerly incarcerated youth. Over the past thirty years, Kenneally’s long-form, immersive projects have produced visceral portraits of the personal experiences of disadvantaged children in America, as well as a ground-up historic record of contemporary social and political values in the United States. “I take pictures to remember what I’ve learned while I was busy taking pictures,” says Kenneally. It was Kenneally’s need to share what she had learned from both her own childhood in Upstate New York and the thirteen years she spent recording the current generation of Upstate Girls that led her to form A Little Creative Class. The non-profit arts organization’s mission is to address the obstacles that deter poor and low-income youth from participation in the emerging idea-based economy. 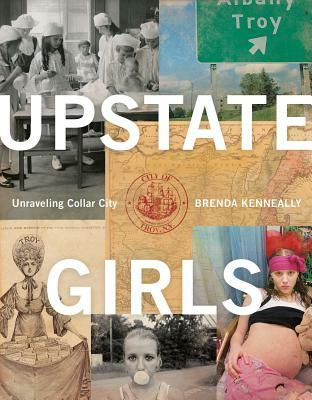 One hundred percent of the author’s proceeds from the sale of Upstate Girls will be donated to A Little Creative Class. For more information visit www.alittlecreativeclass.org.